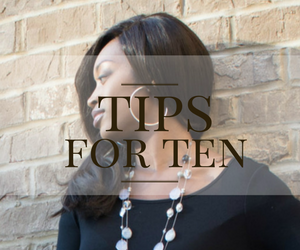 One great advantage that this blog has over many others is that you get the advice and knowledge of an actual professional hairstylist. And while that is in no way throwing shade to non-professional hair bloggers, there is just something about a person with credentials AND experience. I am able to relate to you because I did not do hair my entire life and for the years before I even thought about becoming a hairstylist I have made a lot of mistakes and have had bad experiences that happened to my hair due to me thinking I knew what I was doing when I really didn't. So I am able to share those mistakes and experiences with you as well as give you the professional reasons why I was so wrong to even attempt them in the first place. Today I will be giving you a guide to healthy hair. 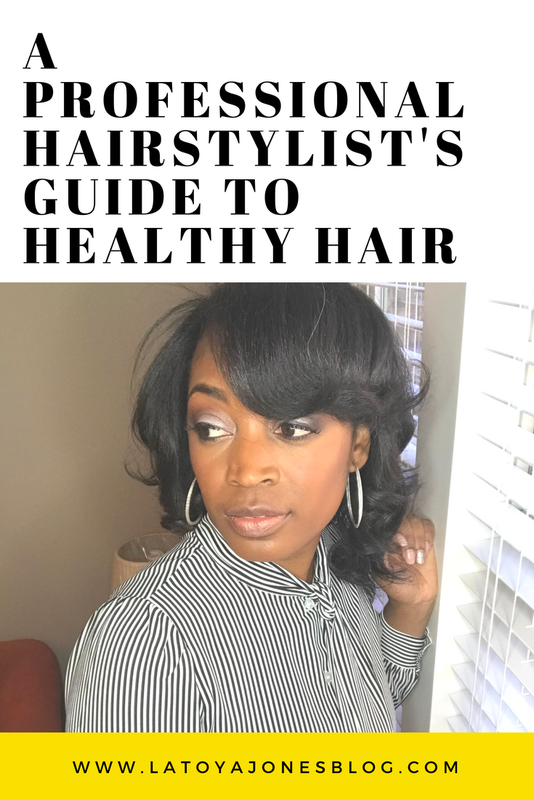 Healthy hair is one of my specialties so I want to go over ways for you to have healthy hair. Before you continue reading, I want you to keep an open mind. If there are some things in this guide that you do not agree with, remember that there was once a time (before I stepped foot in any cosmetology school) when I also thought I knew everything about hair. I often had to learn the hard way (and by that I mean damaging my hair) that I did not actually know quite what I thought I did. So, before you say to yourself "I do that all the time and my hair is fine" know that the advice you are getting is coming from an actual professional that has paid good money for her education and license and that I may actually know what I am talking about. Also, my goal is only to help you, that's it! I wouldn't tell you to do anything that would not be beneficial to you reaching your healthy hair goals. Now, let's jump into the professional guide to healthy hair. 1.) First, in order to have healthy hair, you must start on the inside. By inside, I mean the inside of your body. Ask for extra when dining out- With every meal I try to have some type of vegetable even if that means asking for extra lettuce and tomatoes on my grilled chicken sandwich (ya'll know restaurants are stingy with the healthy stuff!). Substitute for better-If possible substitute raw spinach for lettuce. It tastes the exact same but has much more nutritional benefits. Buy in bulk-I have also started buying vegetables in bulk and because I absolutely hate throwing food away so it forces me to eat it all before it goes bad (sometimes I freeze it), and it also is much cheaper when you buy larger quantities. Ditch the fries- Anytime I go to a fast food restaurant now, I always opt for fruit instead of the fries. Most places allow you to get apple slices, oranges, grapes, or mixed fruit in the place of fries. Even apple sauce is a better choice than fries. These are a few ways to get you started eating healthier. Changing your eating habits is beneficial to your entire body, but your hair definitely reaps the benefits as well. Sulfates- Sulfates strip the hair and can cause it to dry out. Many companies include these in their products because they are very cheap to purchase. Parabens- Parabens are said to be cancer causing down the road. So with continued use it may or may not be cancerous. It has not been scientifically proven, but it has not been completely ruled out either. Why take the chance? My advice is to stay away. Companies include these in products because they are also inexpensive and can be used to preserve the product. Formaldehyde releasers- No one wants formaldehyde in their hair products but some chemicals contain releasers that can prove to be harmful to the hair. Many of these are included in the preservative. Sensitivity triggers- Many people are sensitive and certain things that don't bother others can cause problems for them. These triggers include perfume (instead opt for fragrance free or items scented with essential oil), dyes, and products made with any ingredient derived from nuts (coconut). 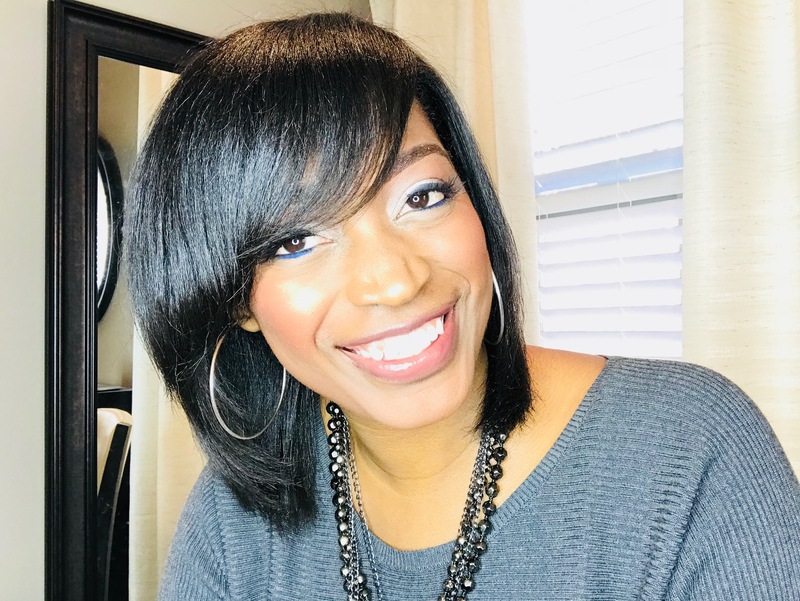 I was having a hard time finding high quality hair products, which is why I created my own line called by L. Jones (we'll talk more about this later). They do not contain any sulfates, parabens, or harsh chemicals. For my sensitive customers, including babies, I have the Baby Collection that does not have any sensitivity triggers in them at all. Most lower quality products are very inexpensive due to the actual ingredients used to make them are relatively cheap. Just like healthy foods are more expensive to buy than the unhealthy stuff, hair product ingredients are the same way. That is often why higher quality hair products cost more. And even though they are cheaper, lower quality products leave the hair dry, brittle, and with no body and movement. Use only once per week or less- "or less" means you can opt to use no heat at all on certain weeks by doing styles like roller sets or rod sets. Only use heating tools that have an adjustable temperature gauge- Otherwise you won't have any idea if it is too hot or not. Use heat between 400 and 450. The flat irons in my line go up to 480 and only the thickest, coarsest, curliest hair can handle that, but definitely not on a regular basis. Only do one pass- Going through the hair only once helps you to avoid hair damage and breakage. That is why it is important to have the flat iron up high enough. You don't want the setting to be on 300 degrees but you have to go through the hair 500 times on each piece to get it to look right. 4.) Go to a salon for chemical services- I'll say that again, go to a salon for chemical services. And just in case you dosed off, go to a salon for chemical services! This is one of the areas I messed up. I used to do my own relaxers AND my own color (not in the same day). I don't even do that now WITH a license. There are so many things going on during chemical services that you have no idea of and even though it looks easy when a hairstylist does it and even if your results are great, YOU HAVE NO IDEA WHAT YOU ARE DOING! Here is a prime example. I have a client who gets relaxers and she also gets semi-permanent black color. She does them both herself at home. A semi permanent will not cause any damage to the hair but sometimes the relaxer can turn the hair yellow. If you put a black rinse on it, sometimes the hair will come out green. Have you ever seen this happen to someone? Maybe it has happened to you? Ok, now let me ask you this. Do you know WHY that happened? Isn't jet black color supposed to turn the hair black? So why in the world would the hair become green? More importantly, if this happened to you, would you know what color to use to actually make the hair turn black like you planned? Let me ask you another question. Do you know what happens to the hair when you relax it (besides that it gets straight)? Do you know the purpose of a neutralizing shampoo? Do you know why it is more beneficial to condition the hair before neutralizing? If you have no idea what the answers to my questions are, that is a prime example of why you should go to a hairstylist for your chemicals! It is much more to it than just straightening the hair and slapping some color on. Besides, in no other situation would you handle chemicals that you knew nothing about, yet when it comes to hair, many non-licensed people seem to think they have all the answers. 5.) Pick your chemical of choice- While we are talking about chemicals, I always advise to pick one chemical only. If you love color, go natural and get whatever color you want. If you love straight hair, get a relaxer and leave the hair color alone. Having both is very hard on the hair and leads to damage and breakage. For the healthiest hair, pick one chemical only. 6.) Keep your routine simple- I often see people (non-professionals) giving hair advice that consists of doing several things to the hair every night. I've found that the simplest routines work out the best. The less you manipulate your hair, the more you are allowing it to do what it is supposed to do, which is grow. So don't comb it every time you walk by a mirror, don't run your fingers through it consistently, don't pull on it, and don't brush it vigorously. 7.) Detangle wet hair from the bottom, up- When detangling your freshly shampooed hair, always start from the bottom and work your way up. Hair is more fragile when wet and prone to break easier so be extra gentle when the hair is wet. 8.) Get protective styles periodically- Sometimes your hair just needs a break and to be left alone. Doing this can result in a growth spurt of the hair! I suggest getting protective styles periodically which include braids and weaves (sew-ins). I have one client who is a teacher and gets a sew in every year for the summer months. Then she takes it out and wears her real hair for the rest of the year. Often times our hair needs time where it is not bothered to give it a chance to grow without us interfering. 9.) Get a trim regularly- Regular trims need to done every 3-4 months. This prevents any split ends from continuing to split up the hair shaft. When you skip trims, you allow the split ends to keep splitting. And once they are finally cut, it seems like you have to get much more cut off than you prefer. It can also seem like your hair isn't growing when the issue is really that you had to cut off all the inches your grew because the split ends were out of control. 10.) 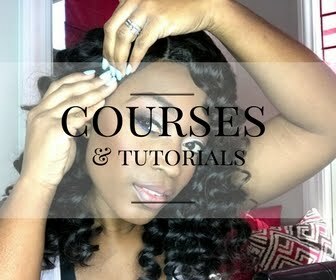 Wrap nightly- Wrapping your hair helps to preserve your style, and it also protects your ends. It enables you to go the full 3-4 months between trims because your ends are protected. Not wrapping the hair means that your hair is rubbing up against whatever you lay your head on which causes friction. This friction causes your ends to split much faster, meaning your hair needs to be trimmed much sooner! Bonus: Moisturize the hair often!- Dry hair leads to brittleness and breakage. Moisture gives the hair elasticity and allows it to bend without breaking. It also is the reason the hair has body and movement. When you shampoo your hair, allow your conditioner to sit a few minutes and work its way into your hair. It is also beneficial to do oil treatments periodically to moisturize your scalp. And there you have it! If you follow these tips your hair will be in great shape and will stay healthy. I mentioned before that I have my very own hair care company called by L. Jones. I designed all of these products with healthy hair in mind. Remember that I am a healthy hair specialist so when choosing the ingredients to make these products (yes I actually make them myself) I always choose the healthier option for the hair. My own hair is proof. I use all of the products on myself first before I even consider selling them! 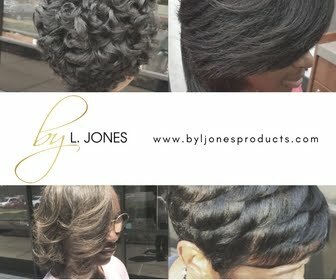 I would love for you to head to the website (www.byljonesproducts.com) and check it out. Each product has a video explaining what that particular product does and how to use it. If you are looking for hair products that are geared towards having healthy hair, give them a try!